Church of St. Colman, Lambeg. Fr Feargal McGrady’s parish of Derriaghy also includes St Colman’s Church, Queensway, Lambeg. 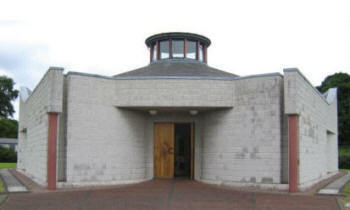 The previous church at Lambeg was built in 1957 and is now the Parish Centre; the present St Colman’s Church was built in 1991 and opened by Monsignor Thomas Bartley, parish priest of Derriaghy, on 8th September 1991.